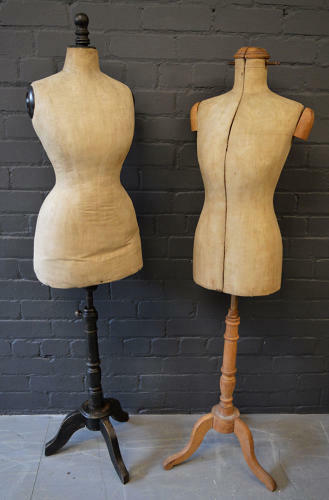 The Mannequin or Tailors Dummy, dates from the late 19th Century, as you will see by her, nowadays unusual, wasp waist shape, her body is covered in age darkened linen which is rather worn and slightly damaged at the neck. One turned arm blank / roundel appears to be a later replacement. The stand and the wood turnings are all in solid wood with black painted finish.